April 11-15, 2016 marked the Fourth Annual NYU Ally Week at Stern. 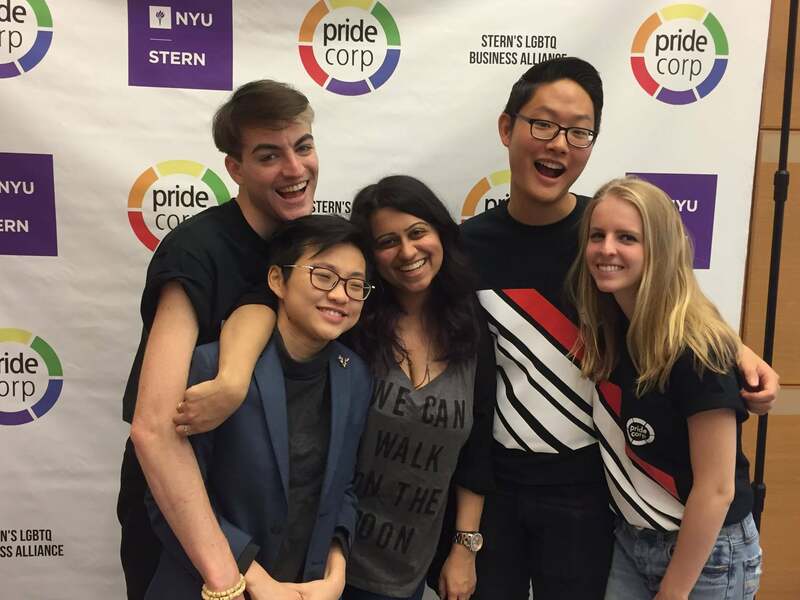 Undergraduate students from NYU Stern Pride Corp share some of the top highlights from the spring event that showcased solidarity for LGBTQ students. The Partners in Pride: Pre-Ally Week Mixer fostered a friendly, non-judgemental environment that encouraged engaging conversation around diversity and inclusion. “The casual and relaxed atmosphere allowed me to establish connections with professionals and recruiters. It's a networking event that feels like just meeting new friends!” Pedro Tenreiro Scull (BS '18) says about the mixer. The evening started with a welcome and introductory address from Pride Corp’s President, David Kim (BS ‘17). Over 50 Pride Corp members and allies mingled with Pride Corp alumni and LGBTQ and allied professionals from partner firms in a casual social setting featuring great food, Pride Corp’s signature “mocktails,” and relevant conversation on topics of diversity and inclusion in the modern corporate world. “What is, ‘Allyship’? 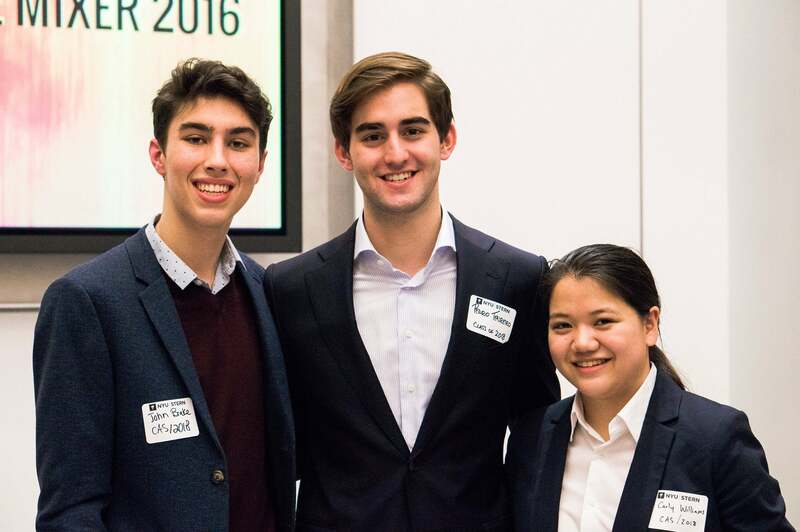 : Playing to Answer the Hard Questions” was a team competition that brought together students and representatives from partner firms Goldman Sachs, Morgan Stanley, and Citigroup. In this casual, thought-provoking setting, students analyzed problematic portrayals of underrepresented groups through an interactive game. Using mainstream media as an example, students helped identify ways to navigate difficult questions regarding identity and harmful representation. 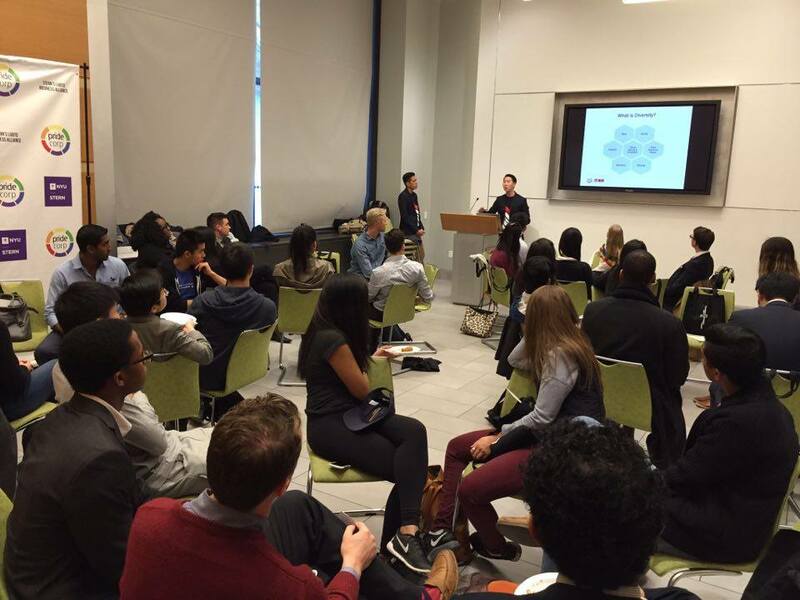 The event was co-hosted with the Undergraduate Stern Women in Business (USWIB). Incoming USWIB President, Reena Jailwala (BS ‘17), facilitated the game show as emcee to provide socially conscious answers in a respectful and educational manner. The Diversity Case Walkthrough brought together 12 professionals from four different NYU Ally Week corporate partner firms: EY, Accenture, Deloitte, and Oliver Wyman. The evening started with Samuel Yoon (BS ‘17), incoming president of the Management Consulting Group, presenting the winning solution for a diversity case competition. This gave students a brief overview of diversity-related business problems, which are vastly different from traditional business problems. The firms held group discussions, showcased research, led mock cases, and shared their experiences and involvement in improving diversity and inclusion with clients. An event highlight was a conversation led by Avina Gupta, Senior Consultant at Deloitte, and other Deloitte consultants, who presented data on how to better implement diversity and inclusion programs. Gupta discussed methodology from Deloitte’s Diversity and Inclusion Practice, a pioneering program for the management consulting industry, and how Deloitte provides outcomes and advice for clients on ways to quantifiably improve diversity and inclusion metrics, such as reducing turnover and enhancing retention. Students at the Diversity Case Walkthrough rotated between three groups so that they could learn what each firm does, and how each firm uniquely approaches diversity and inclusion. Stern Undergraduate’s Ally Week events culminated successfully with the Ally Week Profile Picture Campaign, open to all students and faculty. 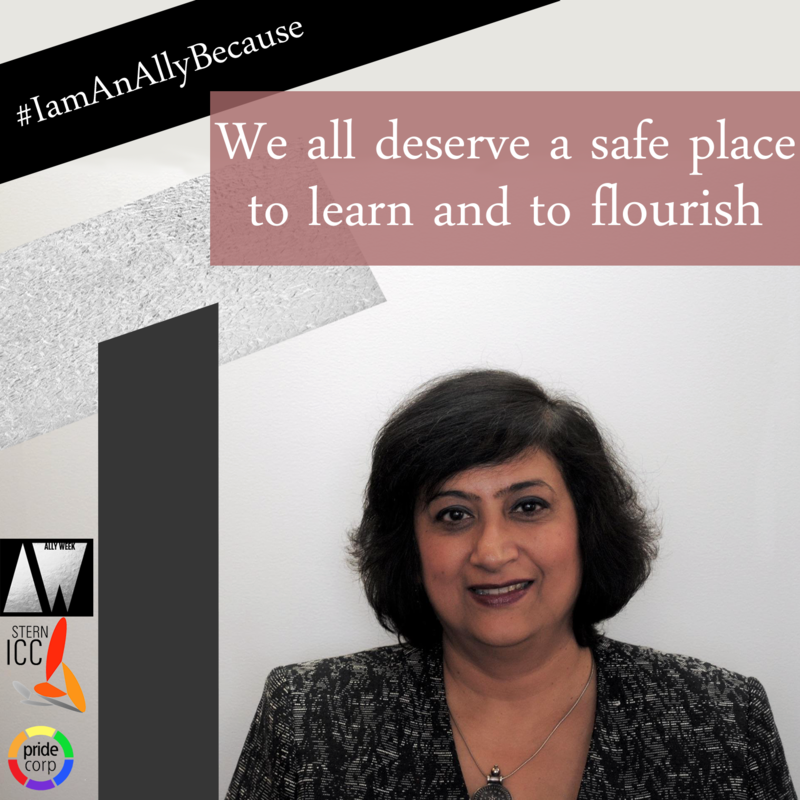 The campaign helped raise allyship awareness through social media. NYU Stern Undergraduate College Dean, Geeta Menon, supported the week by posting this picture on her instagram account and other social media outlets. Dean Menon encouraged others to demonstrate how important engagement with Ally Week is for the NYU and Stern community. The Stern Pride Corp also took over the NYU Stern Snapchat account for three days to raise awareness, and share important snapshots of Ally Week and Stern Pride Corp. The takeover garnered over 800 daily views.